What better way to send your best wishes to your dear ones than sending these Joyful flowers online from Winni. This flower arrangement contains 15 Red Roses in Cellophane Packing. This bunch is the best way to express your absolute fondness for someone special one in your life. 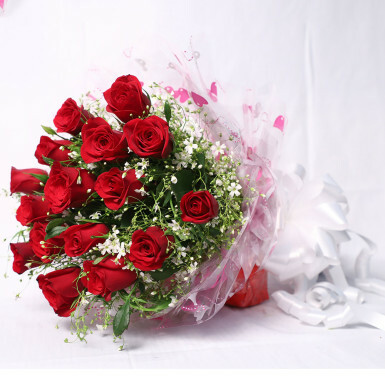 You can order these Joyful bunch of roses to congratulate your near and dear ones.